Once upon a time, people made fun of Linux GUIs because they would give you a graphical way to edit a configuration file, but you still had to know everything in the configuration file, and what the settings did. People made the reasonable point that slapping a pretty graphical interface on a configuration file did not make it any easier to work with Linux. Nowadays, the clients I interact with say things like “We want to use AWS because then we won’t have to spend so much money on devops.” This is a victory for Amazon’s marketing. The reality is that Amazon offers a graphic interface for configuring complex systems, but you still need to understand the complex systems. Amazon is not actually hiding the complexity from you, Amazon simply makes it a little prettier. I wrote about this a year ago in AWS is inappropriate for small startups because its complexity demands a specialist. That post sparked some interesting conversations on Hacker News. I’ll expand upon the point here, based on work I’ve been doing this week. 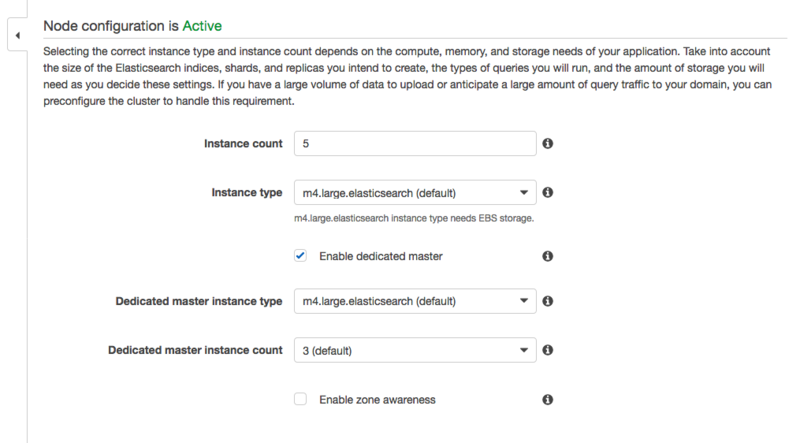 Recently I’ve been working on an app to write a few million small JSON documents to ElasticSearch on AWS. 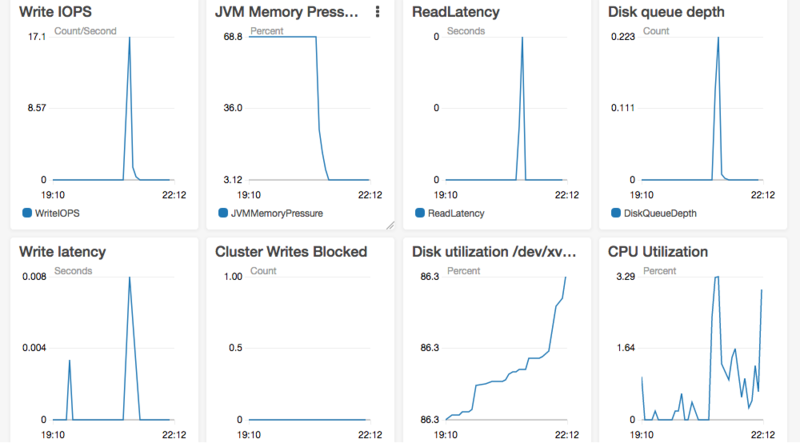 I get a lot of SocketTimeout errors and, more surprising, JVM OutOfMemoryError errors. 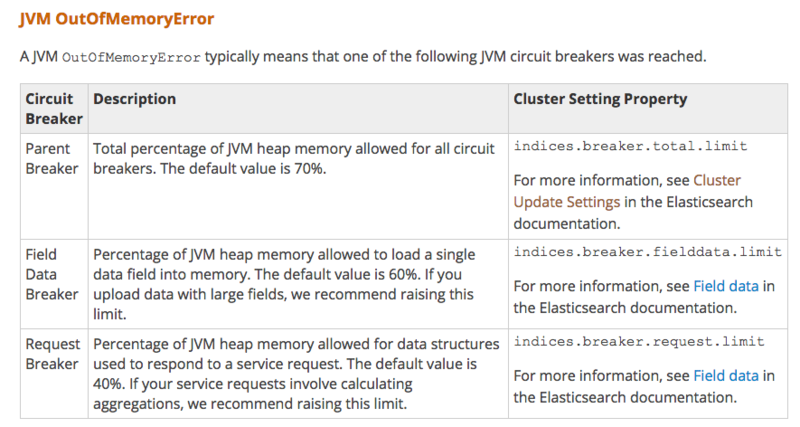 To be clear, it is AWS that is throwing the JVM OutOfMemoryError errors. 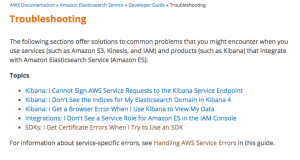 ElasticSearch is written in Java, and it is the ElasticSearch instance on AWS that is throwing the JVM OutOfMemoryError errors. Apparently the task of figuring out the appropriate level of hardware needed for my app is entirely on me. 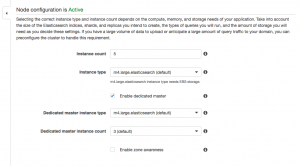 AWS does not auto-scale the ElasticSearch service. Which is to say that the crucial devops work is still my responsibility. AWS is not helping here. 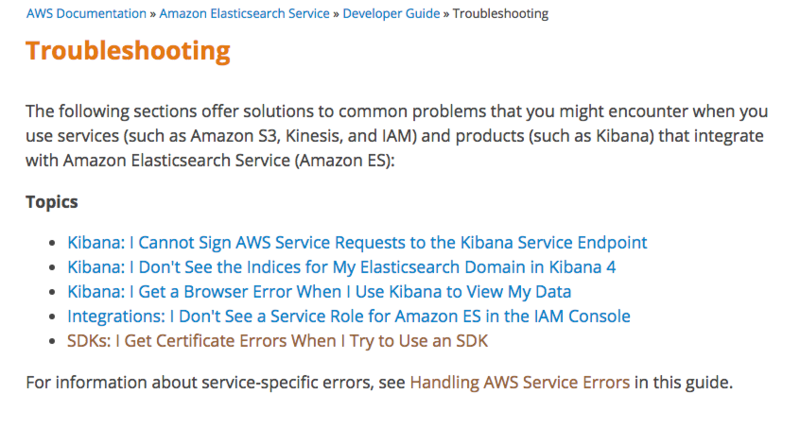 It took me days to track down the AWS documentation that explains why I was seeing this error. The expensive thing about devops is that you need to learn a lot about configuration. That takes time. Time is expensive. And when I use AWS, I still need to learn a lot about configuration. 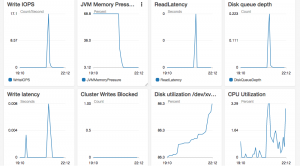 For example, how many instances, of what size, do I need to use before I stop getting JVM OutOfMemoryError errors? The only way I can find out is trial and error. Amazon is not helping in any way here. I’m still spending time on devops tasks. I would guess that there are more developers who have made my mistake than who have been tripped up by Kibana. 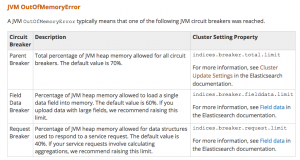 Writing too much information too quickly and getting SocketTimeouts and OutOfMemory errors is probably a common mistake, especially since one or two million small JSON documents really should not be a lot for AWS. There are surely a few developers out there who started their projects with the naive belief that a default AWS cluster would be enough for a fairly minor task? There might be reasons to use AWS, but please don’t use it because you think it’s going to save you a money that you would otherwise waste on devops. If you use AWS, your contractors will still end up doing a great deal of devops. Follow the conversation on Hacker News. Please have look for AWS and DevOps Training online or corporate http://www.a2info.com.